Mattress Genie Raises The Head Of The Bed Higher. 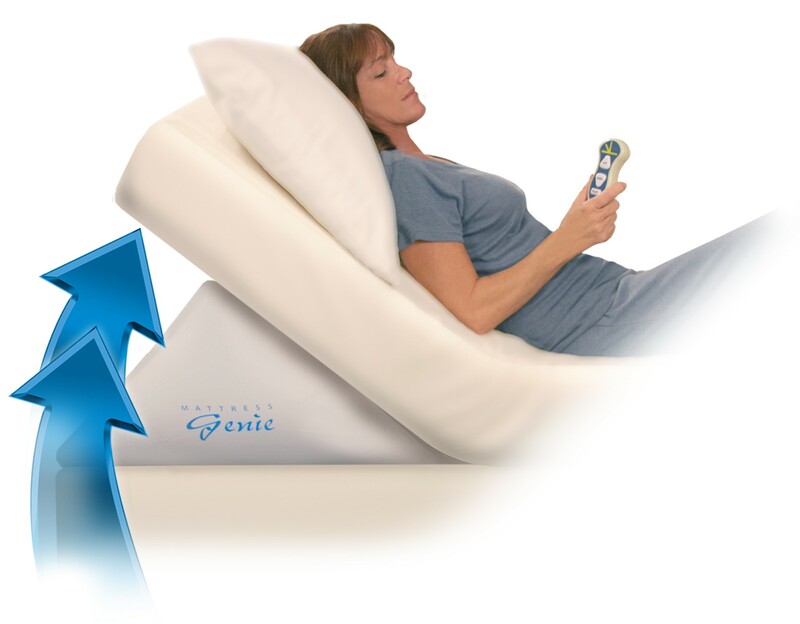 The Mattress Genie is an adjustable alternative to foam bed wedges, and an affordable alternative to hospital beds. With just the touch of a button, you can raise the head of your bed up to 26" high. The Mattress Genie's sturdily designed air bladder sits between your mattress and box spring and can lift up to 1000lbs. A hose connects the bladder to the motor, which plugs into the wall. 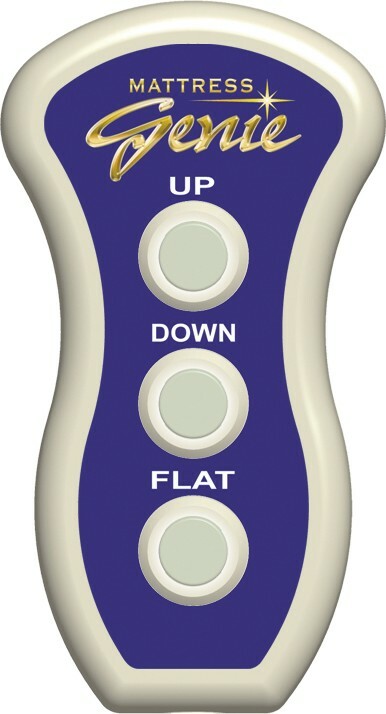 It has a hand held remote control that allows you to adjust its height. When not in use, simply press "flat" and the air bladder will disappear from view, eliminating the issue of storage for bulky foam bed wedges. The Genie will work with your existing mattress, comes in all sizes, and sets up easily. 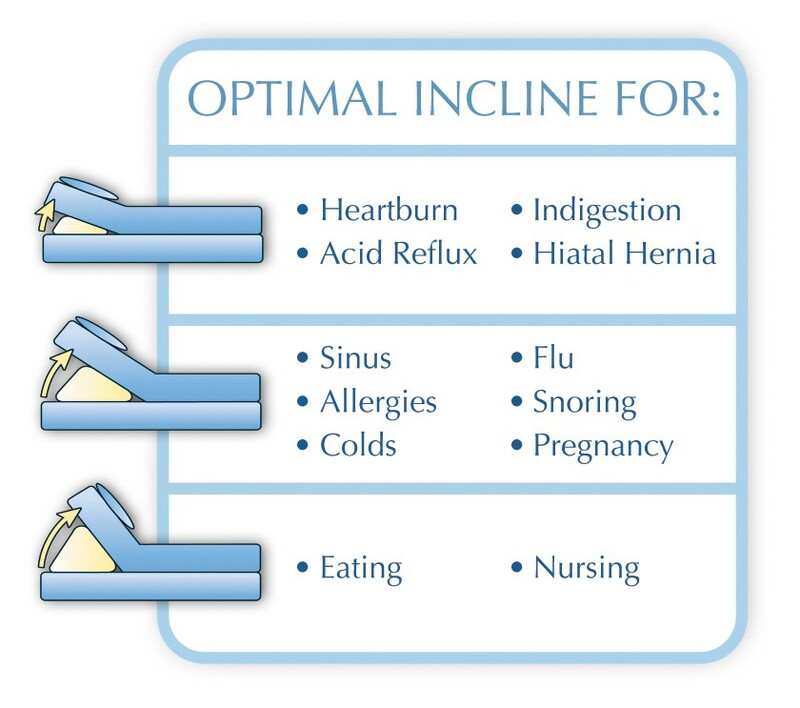 Medical experts recommend head elevation for a variety of conditions such as acid reflux, sinus congesting and snoring. It's a great recovery aid for those who have experienced upper body surgery or injury. It's durable construction will last for years. The adjustable alternative to bulky foam bed wedges. The affordable alternative to expensive hospital beds. Turns any bed into an adjustable bed with just the touch of a button. Flattens when not in use, eliminating storage of bulky foam wedges. 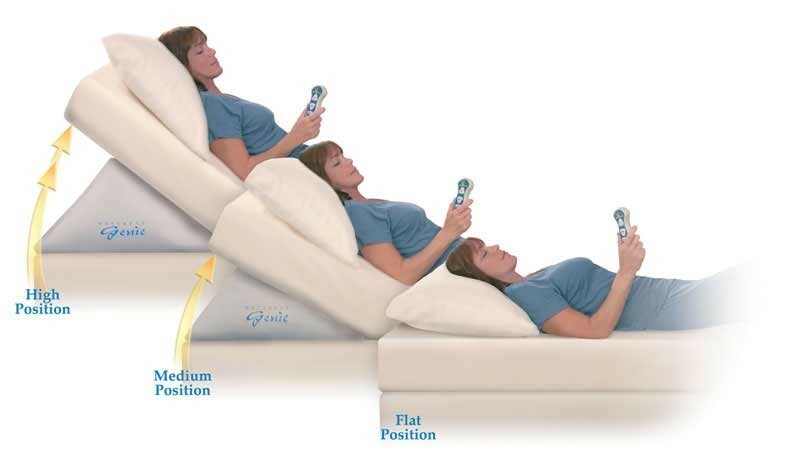 Head elevation helps with acid reflux, nasal congestion and snoring. Great for reading or watching TV in bed. Easy installation sets up in less than 2 minutes. Works with all mattresses except waterbeds. Hand control illuminates for night use. Easy to assemble, but as to noise when operating, it's quite noisy when raising up. Probably not the kind of thing to hear in the middle of the night, as it sounds like a vacuum cleaner!